And, yes, I’m guilty of reading ALL of them. But I don’t read those publications for journalism or even for news. In fact, my skepticism meter is on high alert whenever I’m reading anything on Valleywag and its lot. Use these types of tactics and you begin to lose trust. That said these publications are masters of getting people to click through to their articles and stories. The magic, of course, lies in link-baiting headlines on trivial, but enticing pieces of content. It’s shame to see the Boston Globe emulating the online equivalent of a supermarket tabloid. But expect more newspapers and legitimate news sources to follow suit as it becomes more about clicks and revenue and less about journalism. It’s too bad because eventually people will tune out the link-baiting headlines. No one goes to websites anymore, except when they do. Sounds nuts, I know, but let me explain. I don’t purposely visit many websites anymore, especially websites that produce their own content. You probably don’t either. The idea of going directly to a website and exploring its content is becoming an old-fashioned notion. That just isn’t how we discover content anymore. Instead, our content comes from search engines and social networks. We look for something specific and type the inquiry into Google. Or we browse our Facebook and Twitter feeds and a piece of content catches our attention. In both cases, we click a link to get to the content source. That’s what brings us to the website – the content. We aren’t going directly to the website. A piece of content has taken us there. Once there, we read it. Or view it. Sometimes we’ll share it or like it or leave a comment behind. Would it surprise you to know that only 5 of the top 100 visited websites in the world could rightly be called content destinations (defined as websites that produce their own content)? And that the first one on the list doesn’t appear until #49 (it’s CNN by the way)? What do these websites have in common? 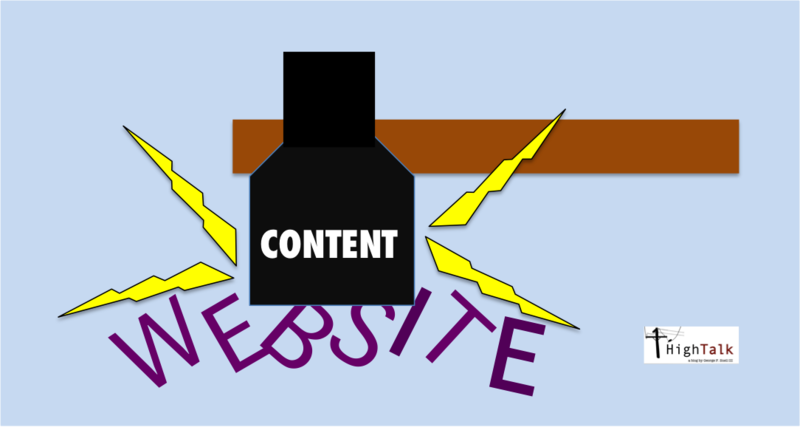 They are sites that aggregate content – lots of content. They don’t create it, but provide easy access to it and a way for people to react with it. These are places where we can discover content and interact with it – all in the safety and comfort of being among our own peers and social circle. It means they should spend less time promoting their websites and more time promoting specific content. Websites are not destinations, but places for brands to collect and curate content. So treat them as such. There is no way brands can’t compete with Google or LinkedIn on being web “destinations.” Few brand websites will ever be destinations so why invest in trying to do that? Where brands can compete is in content. By creating compelling content, especially content with a smart distribution strategy that takes advantage of this new way that people find and discover content. Put your content where people are and where they can get and share it. Face it, search and social destination sites need your content. So give it to them. But make sure your content drives home the brand message, the brand experience and gets people excited. Let me tell you about an energy company I know called EnergyX. They are a real company, but EnergyX isn’t their real name. You’ll see why so enough. They are a public company with about $400 million in revenue. They employee 800 employees and have technology products that can only be described as cool. It’s why I keep up with their news. Because they are one of the dullest companies I’ve ever seen. EnergyX’s content is terrible. The presentation of their content is terrible. Their social media is terrible. Go to its website and you’re greeted with a big feature banner. It reads “EnergyX Expands European Footprint: Acquires Leading Demand Response Providers in Country Y and Country Z. Read the press releases!” I’m serious – in the age of interactive media, EnergyX wants you to read a press release. Unfortunately, when you click to do so you aren’t even taken to the relevant press releases. You go to their press release page and are served up ALL of EnergyX’s press releases – in the order they were published by date. EnergyX makes me – the reader – try to figure out which press releases are the right ones (the correct press releases are seventh and eighth ones on the page). Likely no one does this. Why in the heck would they? All that work to read two poorly written, cliche riddled press releases that describe EnergyX as “a leading company in blah, blah, blah” in the first sentence. What’s maddening is that energy is hot right now. It’s a booming industry with lots of innovation. Think of the topics! Climate change. Global warming. Energy prices. Fossil fuels. Rising gas prices. Home heating. Alternative energy sources. Solar. Nuclear. Wind. There is a ton of news, trends, and content about energy and EnergyX is stuck talking about itself like that boring guy at a cocktail party who keeps droning on about how interesting he is. EnergyX needs a digital content strategy. They need to learn how to be storytellers – multimedia, interactive storytellers. Forget the press releases. Launch a content hub. Write about issues. Write about trends. Write about the problems its customers face. Excite people. Move them. Compel them to act. Get them emotional. Get them caring. Tell real stories with real people and voices. Make it visual! Photos and videos. Make it engaging and gripping. Stop being boring. Stop taking about yourself. Yes, I get it. Facebook is HUGE. It’s THE social network. Nothing else comes close. Yet it seems like they are clueless when it comes to working with brands. With understanding how marketing actually works within large enterprises (the tension for example between communications/PR and advertising). Facebook also seems perplexed about what marketers really want to be able to do with their Facebook communities. It’s unfortunate because it started out so great. 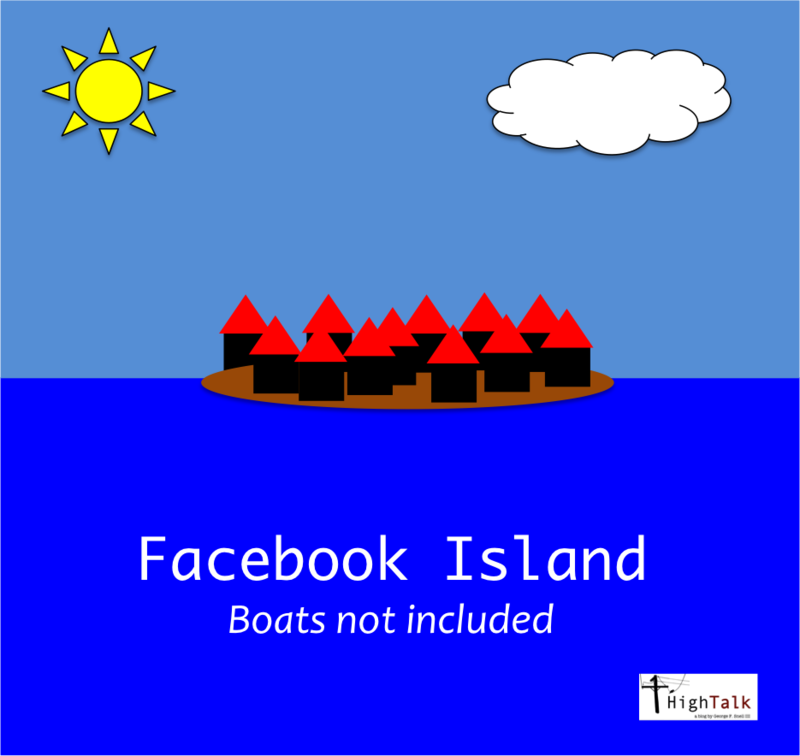 Facebook gave brands free range to build interactive communities on its platform. Brands grew their Facebook communities to hundreds of thousands, even millions. Brands created awesome content (and admittedly some not so great content). But brands were learning and moving forward. They were experimenting with new ways to deliver content. New ways to engage with fans. They tried product giveaways and sampling right on Facebook. Some brands even launched new products from the platform. Remember all the talk about Facebook Stores? Direct selling right from a Facebook! That’s all ancient history now. Posting content on Facebook now reaches a small fragment of brand fans. So small that brands should begin to wonder if it is worth posting anything that doesn’t include paid distribution. The organic reach is limited. Very limited. And remember applications (i.e. Tabs)? They have become secondary. They are difficult to find and they don’t appear on News Feeds. Again Facebook pushed them as the way to go and now has abandoned them. I get it. Facebook doesn’t want News Feeds clogged with advertising and marketing. So penalize for that type of content. Create editorial standards. No overt advertising. Just quality content. Allow that type of brand content to thrive because people enjoy it and want it. Facebook needs a plan for brands. A real plan. The question is will they get one before brands give up on the platform. How many people are going to see it? 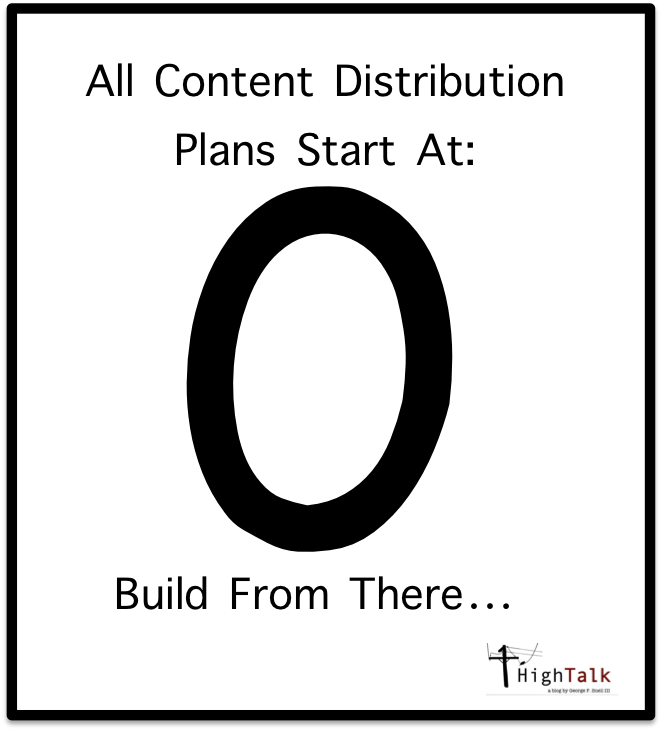 Without a content distribution strategy you should expect exactly zero. That’s right. Nada. No one. The days when you could post content on social channels and expect large audiences are long over. You need a plan. Without a plan you’re just relying on chance that your content is going to reach the right audience. Let’s get specific. You have a video case study that tells a powerfully emotional and visual story about how one customer is using your product to achieve their dream. In other words, the quality of your content is excellent. You want your content to hit your key customer demographic: mothers between the ages of 30 and 45. In fact, you have created the content with this audience specifically in mind. You want views of the video to be the key measurement. You need at least 250,000 views within the first week to declare success (and impress your boss). So start at zero and begin to design a distribution strategy to hit your number – and your target. Let’s start with owned channels. Your Facebook page has 350,000 fans – most in your key demographic. It’s a great place to start. But you know that a posting the video there will only reach a small percentage of your Facebook community. So you pay to augment the reach. The posting will now hit half your Facebook fans: 175,000 fans. You also will post links to the video on Twitter where you have 12,000 followers – at least twice a day for three days. Each tweet will focus on a different aspect of the video and you’ll track to see which tweet works best. The tweet that works best will become a promoted tweet on the fourth and fifth days targeted at your followers and their followers. You will also post the video on your corporate blog, which has 8,950 subscribers. A link to the video will go out in your corporate email newsletter which reaches 125,000 people. Lastly, you post to your YouTube channel which has 1,090 subscribers. Next we turn to earned channels. You bundle the video with a strong news hook and pitch your targeted media. All the trade and business publications that you have developed a relationships with. Not only do you pitch the publications, but you pitch the reporters and editors. Will they tweet the link? Will they post to Facebook? Explore how you can work with them to embed the content on their channels. Next come the bloggers. You have at least 10 bloggers you work with all the time. You approach them with a paid placement. They agree to write a blog post and embed the video. They will also tweet and post on their Facebook pages. This is a paid opportunity and they have to fully disclose the relationship with your brand. The overall reach of the bloggers is 750,000. Now we go to paid channels. You work with a distribution partner like Viral Gains to seed the video with dozens of media companies. Viral Gains agrees to send 100,000 highly targeted views to your video. You also work with OutBrain or Taboola to put a link to the video on articles and content on media sites that are related to your content. They agree to send another 100,000 views to your video. Now you have a plan. Through the paid distribution you are guaranteed 200,000 views. You have seeded the video on other distribution channels with a potential of 1.3 million viewers (not including the media pitching). Once you become more experienced in distribution you’ll have developed a formula to know your average returns on these audience numbers. As you can see, paid runs across all the channels. That’s the way content distribution works now. It’s not advertising. 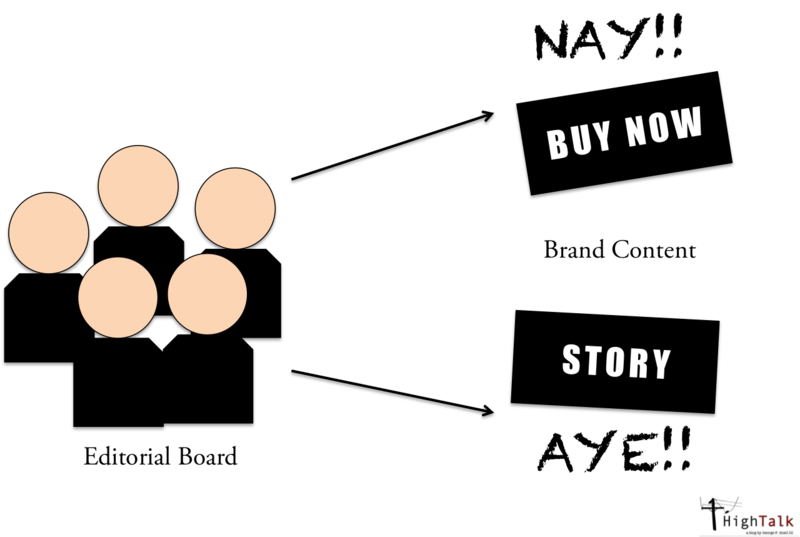 It’s not a media buy. It’s using paid to drive audience and reach your targets. You hit the switch on the plan. A week later your video has 780,000 views and it’s still growing. There are conversations on Facebook, Twitter and on your key blogs about the video. Your audience is liking and sharing the content. Media are taking an interest. And it all started at zero. The average age of an American Facebook user is 41. Try to wrap your head around that for a moment. Facebook started out as a network for college students back in 2004. For its first two years, it was the exclusive playground of college students. Not until 2006 was the network opened to the general public. Facebook started out as a network for 18-22 year olds in the United States. The average ago of users at the beginning was 20. Now 10 years later – really eight years later – it’s 41. The age more than doubled. The average age went up 21 years in eight years. While teens haven’t completely abandoned Facebook, Pew Research found evidence of teens losing interest in the platform. Facebook is started to look more than a PTO meeting than the coolest place online. Why do people “like” Facebook? I use it to find content I like: articles, cartoons, and videos. All recommended by friends. I use it to debate, quip, and joke with friends. I used it to see what friends, co-workers and neighbors are doing. I use it to circulate my own content. I use it to ask advice and solicit recommendations (from everything to good books to restaurants). Why do people “dislike” Facebook? The advertisements. The brand intrusions. The feeling that Facebook cares more about mining my privacy than it does on giving me a good user experience. I can’t help with the latter (However, Facebook could use the excellent services of my employer Weber Shandwick to help elevate its reputation). But I do have some suggestions on advertisements and brand intrusions. People hate advertising. Hate it. The only time they like it is during the Super Bowl. Because the ads during the Super Bowl are really well done stories. They are funny, silly and creative. It’s the only time the advertising industry seems to get what consumers really want. They want to be entertained and informed. They don’t want to be overtly sold or marketed to. They especially don’t want that on Facebook. So get rid of the ads. Facebook should be in the business of circulating good brand content, not advertisements. Brands should continue to pay to have their content distributed to their fans and to wider targeted audiences. But first the content should conform to strict editorial standards. That’s why Facebook needs an editorial board. If brand content is “advertising” or doesn’t meet editorial guidelines – it is rejected and can’t be widely distributed (the exception being on its own Facebook page). The first filter should always be if the brand content is worthy of the audience. It should never be that a brand is willing to pay to distribute the content. Editorial standards will make Facebook better. It will make brand content better. Create it and they will not come. They will not come by the boatload. Posting digital content and thinking the legions will flock to it doesn’t happen anymore – if it ever did. That’s why every brand needs a content distribution strategy now more than ever. Because content without an audience is useless content. Oh, there are exceptions that prove the rule. Awesome content does get noticed and go viral. But, quite frankly, so does bad content. Viral is like catching lightning in a bottle. You want to do everything you can to give your content a chance to go viral – but you can’t rely on it. Relying on going viral to reach an audience is like relying on lottery tickets for a salary. Luck is not a content strategy. The Internet is crowded. Literally bursting with content. All of this content is competing for attention. Pushing and shoving, elbowing and kicking. Look at me! Read me! Share me! I’m not like the others. I’m special! I’m different! It’s crucial to have a smart strategy to get your content to the right people. To get it seen and noticed. And that isn’t as easy as it used to be. The best way used to be developing a plan that incorporated owned, earned and paid channels. Owned is pushing out content on channels the content creator controls: websites, blogs, Facebook pages, tweets, etc. Earned was pitching media and bloggers the content to see if they’d be interested in using it or sharing it. Paid was buying advertising to drive people to the content. A strong mix of all three was the best way to distribute content. It still is, but paradigm has shifted. There are no neat owned, earned and paid buckets anymore. In fact, paid now runs across every content distribution plan. Owned channels like Facebook require a paid component now. If you don’t pay you don’t get reach. Media companies, especially bloggers, insist on being paid. Native advertising is exploding. There are also new digital distribution companies that specialize in paid approaches. Companies like OutBrain, Viral Gains and Taboola. They have partnerships with media companies that can deliver targeted views and broaden your audiences. Distribution is now a sophisticated discipline. Brands should be thinking about their audience and how to reach them even as they create the content. Engagement should be built right in to help the distribution, especially the sharing. Because without a distribution plan you’re just playing the lottery. 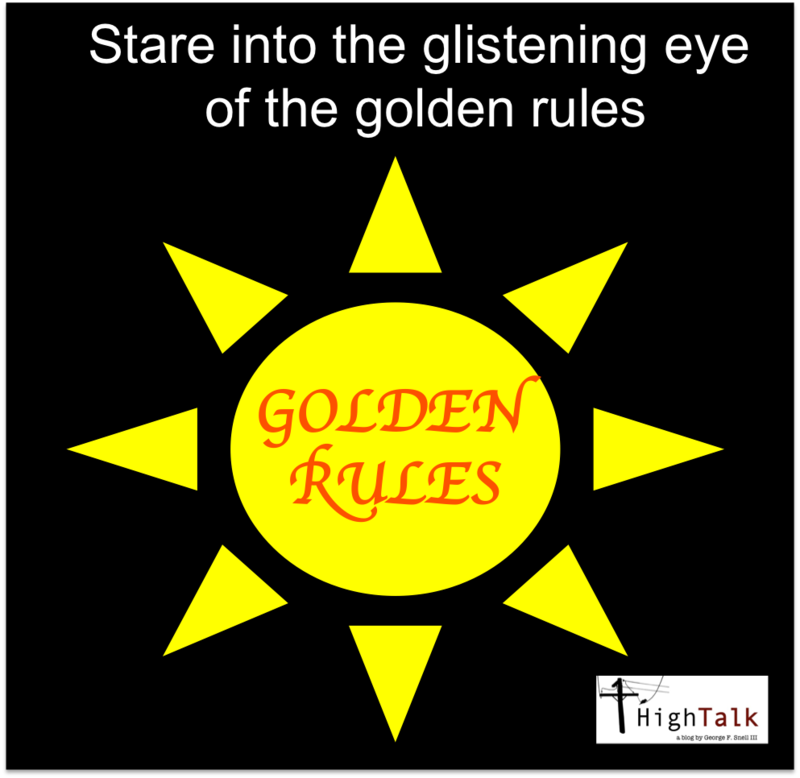 Let’s look at these three golden rules more closely. The key to a great content strategy is finding the intersection between your brand and the passions of your customers. ESPN is about sports, but so is Nike. People use Nike apps for exercise. They read Nike tips on running. And, yes, they end up buying Nike sneakers to run in. Nike understands the passions of their customers. They provide it and customers eat it up. Why? Because it is what Nike’s customers expect Nike to be talking about. This is the same for every brand – from back-end technology providers to pizza restaurants. So a clothing retailer can engage with their fans about fashion. A food company about barbecuing. An outfitter on climbing mountains. And so on. Being on brand also means the content has the voice and appearance of the overall brand. No one expects a bank to write in slang with all capital letters on its Twitter account. In fact, it would be shockingly odd. Brands get in trouble when they wander off the reservation. Likely no one cares what a software company thinks about the latest baseball trade. Likewise few people want financial planning advice from a company that makes cleaning products. Brands should stick to their knitting. Focus on what they know and what their customers expect them to know. Brands should also avoid being boring. Posting “Happy Fourth of July” isn’t content that many fans and followers want from a corporation. However, “Happy Fourth of July – here are our three favorite grilling recipes for the holiday” would be valuable from a brand that sells barbecue grills. To be interesting you need to provide value. Shooting a 10-minute Q&A video of your vice president of sales on your iPhone might provide value to him – but few people are going to want to watch it. Why would they? Social media isn’t about adverting. It’s about building a stronger relationships with your customers. So don’t short change your customers by giving them crap. Is It Really Important to be First with the News? 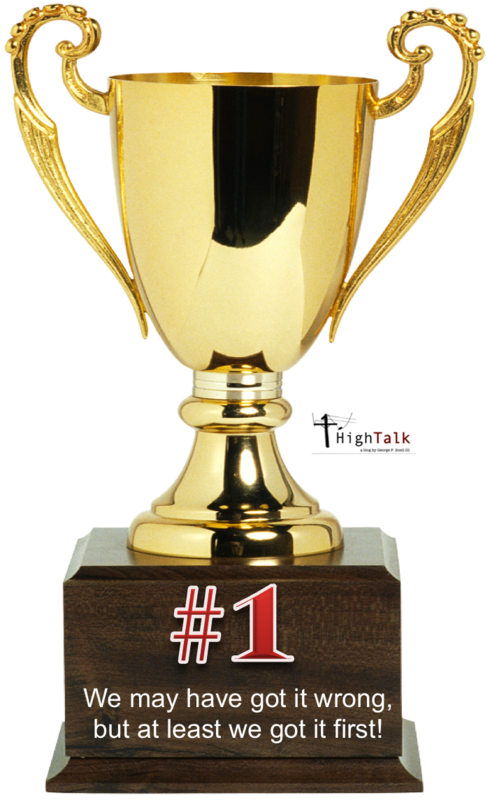 They are obsessed with being first – with getting the “scoop.” It’s a badge of honor in the industry. When I was a newspaper reporter the most important thing was to beat the competition. To beat them to a story. If you got it first it didn’t matter if they got it better. In fact getting beat by your competition was the fastest way to get in trouble. Fact errors? Not so much. But getting scooped by another newspaper? Trouble. Big trouble. Ironically, the only people who care about being first are journalists. I’ve never heard anyone outside of the journalism industry talk about which news organization was the first to break a story. So it was interest that I read Steve Buttry of Digital First’s blog post about live tweeting and using Twitter during news coverage. The post – which admittedly was aimed at journalists – was mostly concerned about the battle of being first with the news and whether by using Twitter a reporter was alerting his competition to what he was working on. A big part of the debate was whether a tweet counted as breaking a news story. There was little discussion about the readers. About how using Twitter to report news is a way to make a better and more interesting experience for them. The subsequent conversation about the post – on Twitter of course – even discussed the revenue implications of tweets vs. website. A big problem with the news business today is that they too often write and report for their competition rather than for their readers. The audience that gets the focus and the most attention are their rivals. We beat you! We did it better! Are you gnashing your teeth yet? That mentality further alienates readers. As does all the hand-wringing about views, SEO and revenue generation. That’s the job of the business end of journalism. 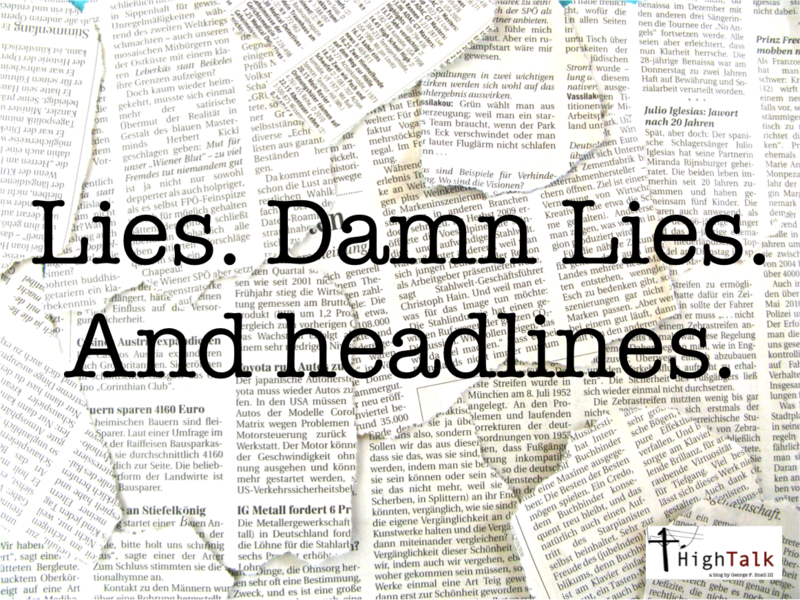 Journalists should be focused on delivering quality news content to their readers. And yes that means using Twitter and other social media networks. It’s where large blocks of their readers now find their news. By using Twitter they provide better coverage and a better experience for those readers.